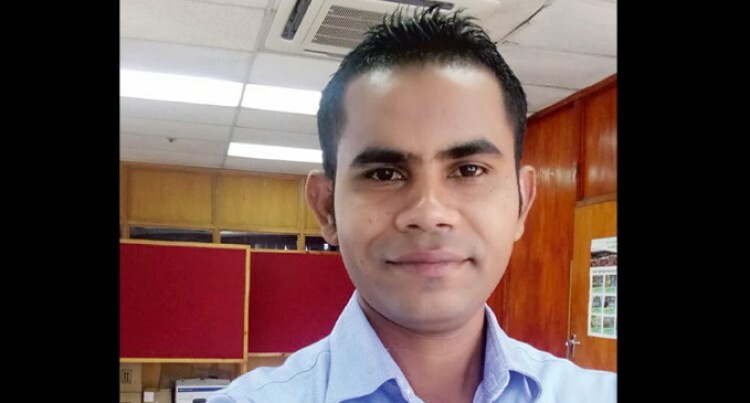 Shanje Shant Sushil is an Information Technology facilitator at Pacific Technical And Further Education based at USP Labasa Campus. He is originally from Seaqaqa, Labasa. On this tour to Japan he was a member of Group 3A which focused on Disaster Prevention. He was appointed a supervisor for the group. The JENESYS 2017 programme has uplifted me professionally and morally. My involvement with JENESYS 2017 has boosted my skills needed to organise student care effectively. The JENESYS Programme (Japan-East Asia Network of Exchange for Students and Youths) is a project advanced by the Japanese government from the standpoint of providing a sound foundation for strong solidarity within Asia through large-scale youth exchange. The tour was over 10 days and took us to Kumamoto and some selected areas of Tokyo. It was jointly funded by JENESYS and Japan Overseas Cooperative Association (JOCA). The group of 24 comprised two candidates from Fiji and the rest were from Papua New Guinea and the Solomon Islands. Learning the Japanese culture and way of life was another way of broadening my knowledge on the outside world because the Japanese culture is known worldwide for its respect for their people, especially through seniority. After visiting the Japan with a vision for the theme “Disaster Prevention” it was a golden experience for me to learn how the Japanese people and its Government takes pride in caring for their people during any disaster. They showed us how they perform drills in every organisation like the SONA AREA, which is one of the key functions to teach public on the importance of life-saving techniques and to learn the proper way of evacuating in the limited time before the disasters happens. Japan and Papua New Guinea have a strong bilateral relationship since independence and have awarded scholarships to the latter every year. We were able to meet the students and also listen to their short presentation about the recent earthquake. As Japan is promoting mutual friendships between Pacific Island countries and development. Japan has been promoting education, which is the foundation for the development of the nation. It is important for them to promote friendship among students for Pacific Island countries, which they are always keen on doing every year. Student exchange schemes have played a vital role in establishing strong bonding between Japan and Pacific Islands in terms of friendship and respect for each other. They have welcomed each of our students in a very positive way, which showed how interesting the people of Japan are. Leading the students in such a programme was a new and exciting experience for me. And basically staying in a very advanced environment developed my leadership skills, which will help in my career path. Guiding and assisting students have always been part of my career and so JENESYS 2017 was the icing on the cake. Japan is a nation which is focusing mainly on its tourism industry, in building the country’s economy and development. According to the JENESYS group of students it has been significant that the Japanese government has created relationships that will benefit other nations, so as boosting their tourism industry. I would therefore greatly appreciate the opportunity given to me through this programme to further develop me intellectually and broaden my mind further on what Japan has to offer that greatly distinguishes it from other countries. The people, the culture, the way of life is something we should all learn from. I look forward to join this interesting programme in future and at the same time I encourage our students to use this opportunity and apply for JENESYS 2018 and make your dream come true.